Ha Thien Galaxy Express is leading company in transport cargo from Vietnam to Laos with ownership of dedicated large trucks and a variety of different trucks from 1 ton to 60 tons. We not only provide cargo transport services from Vietnam to Laos, but also provide customs clearance at Vietnam and Laos for many years. 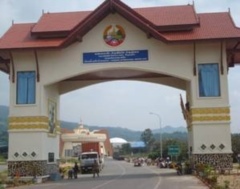 With professional team in the field of transport, international shipping, freight forwarding, logistics and supply chain management to international clientele in collaboration with team experienced in the transport of goods to and from Laos, Ha Thien Logistics has sufficient capacity to meet the transport and customs clearance needs to reach destinations at any province in Laos including mountainous and the border provinces. 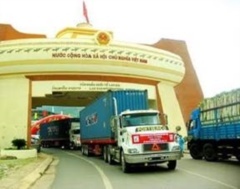 Ha Thien Logistics offers transshipment services, including customs clearance all ports and then trucking shipment and border clearance to Laos. 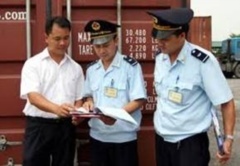 Ha Thien Logistics is especially strong in transport cargo to and from Laos and customs clearance at Laos and Vietnam.